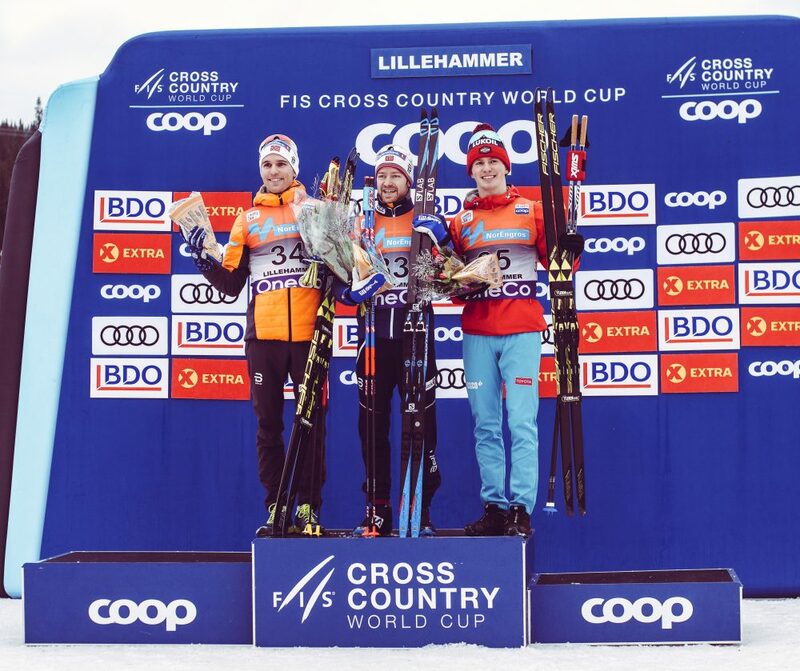 Norway shined on their home course in Lillehammer, Norway with Sjur Røthe posting the fastest time of 36:3.0 minutes in the 15-kilometer individual start freestyle, followed closely by teammate Didrik Tønseth (+6.0). The Norwegians claimed six of the top-ten spots. Russia’s Denis Spitsov took the third podium position, finishing 28.6 seconds back. In his first distance World Cup race of the season, Switzerland’s Dario Cologna placed fourth (+38.3). 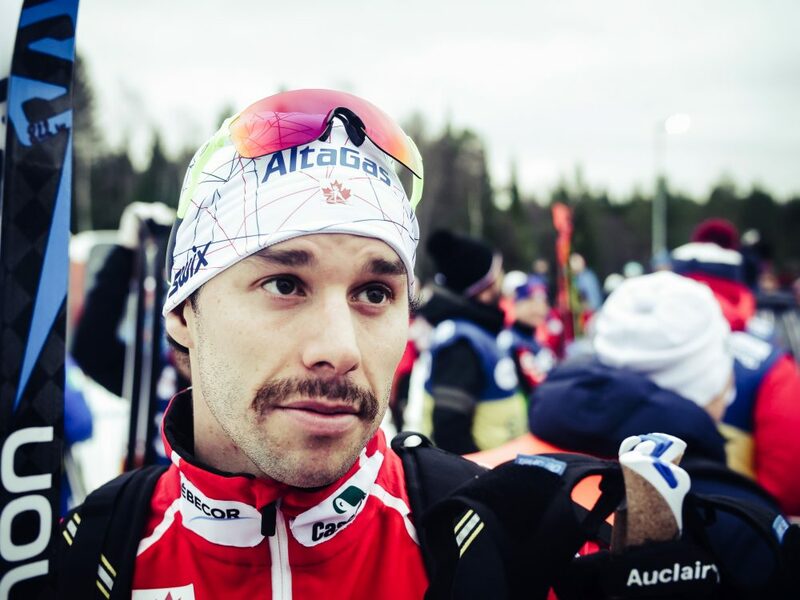 For North America, Alex Harvey was the best finisher in 17th (+1:20.5). His fellow Canadians Andy Shields took 61st (+3:08.4), and Russell Kennedy placed 64th (+3:17.0). Harvey also noted that the course conditions played a role in his race day sensations. The weather and lack of natural snow added another layer of challenge. Rain and warm temperatures eroded the 5k manmade loop exposing wood chips, pebbles, and the ground below. While course officials worked to preserve the snow, they could not maintain the firm base that the course started with. The Americans were well outside the points today; Erik Bjornsen of the U.S. Ski Team (USST) finished 43rd (+2:24.5). David Norris (APU) in 54th (+2:44.5) was the next best U.S. skier. He was the day’s first men’s starter. Wearing bib number one can put an athlete in a lonely and frustrating position in an interval start as it means either skiing alone up front or being passed. But Norris saw it as an opportunity to ski with more experienced racers behind him. Simi Hamilton (USST), who was the only American to qualify for the sprint heats yesterday, took his race in stride after placing 56th (+2:59.4). “I wasn’t expecting a ton,” Hamilton said. “At certain points in the season, I think I’m capable of putting together good distance skate races, but it’s still early. I’m not reading too much into it, but I thought my pace was okay and it was good beginner racing. The course in Lillehammer is always taxing, as it features a four-minute climb, amongst other difficult hills. While today’s results may have been lackluster, the Americans are looking ahead to the races to come. While he hopes to see continued improvement, Bjornsen’s goals lie later in the season. In his first racing on the World Cup, prior to Kuusamo Martin had not contested a World Cup, Martin felt optimistic about today’s result. Not to be forgotten are the impressive results of Britain’s Andrew Musgrave. Norway is practically home now to Musgrave, an athlete feared on the World Cup but also at the annual gathering at the Norwegian National Championships. He finished the day in sixth place, 45.1 seconds behind Røthe. It’s an impressive result as any considering the deep men’s field here in Lillehammer. Historically, Musgrave peaks for the big events. He was barely off the podium in the Lahti Worlds 50 k skate. He has a penchant for arriving in form to maximize the win potential.